Space to Be will be offering an 8-Week Mindfulness Course from September 3rd - October 29th in the Emmanuel Centre, at the back of St James Catholic Church in Twickenham. 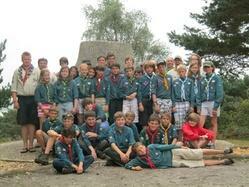 Fun activity walk for families in the Woodland Gardens, Bushy Park on 13 August 2014. 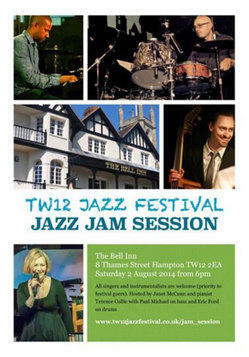 To get into the festival spirit before the main event at Hampton Hill Playhouse on Sunday 3rd August the festival organisers are putting on a free jazz jam at the lovely Bell Inn Riverside Pub/Restaurant on Saturday evening 2nd from 6 o’clock. This features an excellent house trio led by pianist Terence Collie and the evening will be hosted by vocalist Janet McCunn. If the weather is fine the music will take place in the garden and good food will be served. Everyone is welcome to come along though festival ticket holders will be given priority for performing. Soaring temperatures and sunshine meant the event enjoyed its biggest ever attendance. Visitors were treated to a full day of attractions and activities including a local schools’ 5-a-side football tournament, dance, a dog show (pictured), tennis taster lessons, a karate display and karting. No longer can we stay. And we wish you a happy day. 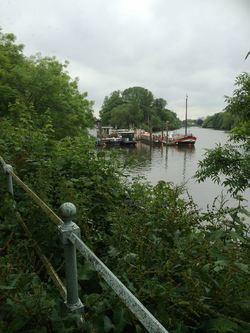 On the 1 and 3 August 2014, a team lead by the Thames Landscape Strategy and SWLEN will be cutting back some of the plants that have encroached on the path and reducing the view of the river. Conserving the biodiversity is of high concern though, so don’t worry about losing important beasties and flora! What a day, what a fair. 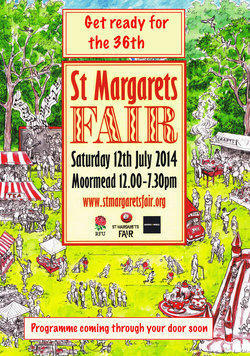 With the best weather in years, thousands flocked to Moormead Park to enjoy the 2014 St Margarets Fair. We took a few photos, until our camera died. 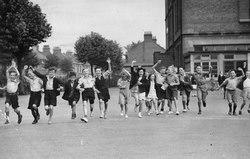 Please email us at editor@stmargarets.london[/a> if you want to share any of your photos. If you wondered why the streets seemed less crowded than usual last weekend or the parks and football pitches less busy it was because nearly 1000 young people from around these parts - boys and girls - were away camping with the Scouts. For over 30 years one weekend early in July has been designated “Borough Camp” for the young members of the Richmond scout district, and it is usually run at Walton Firs Scout Activity Centre near Cobham. With a slew of exciting and sometimes demanding challenges like caving, climbing, football, archery, rounders and the weirdly named ‘crate stacking’ it attracts young people from as far east as Barnes and as far west as Teddington and Hampton.